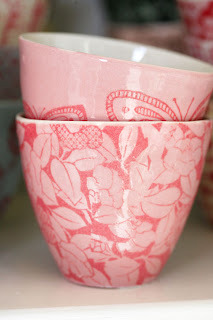 Samantha Robinson is a wonderful home wares designer. I first laid eyes on her marvelous interpretations of coffee cups at Bondi markets sometime last year and could not help myself, I had to own some cups of my very own. 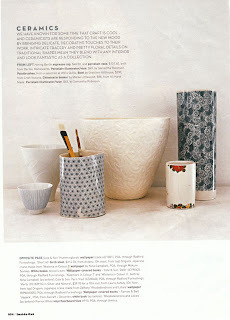 Samantha has been featured in many magazines like Home Beautiful, Donna Hay, Bazaar and Vogue Living. Check out these deliciously gorgeous home wares! 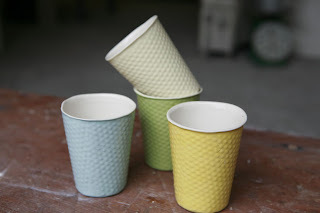 everything from tea cups, to bowls to lamp shades and coffee cups that look like a take away cup- but they are porcelain and painted in pastel colours. how delightful. those ceramic pieces are so gorgeous! Love the 2nd pic. eToro is the ultimate forex broker for novice and established traders.